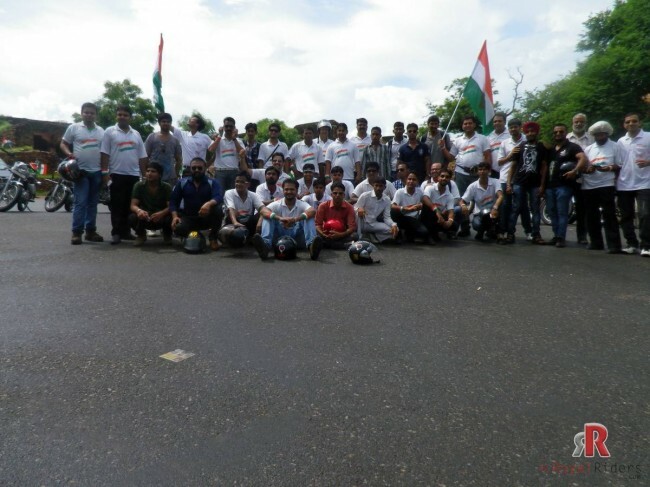 Royal Riders recently concluded their August 15th Independence Day “The Freedom Ride”. 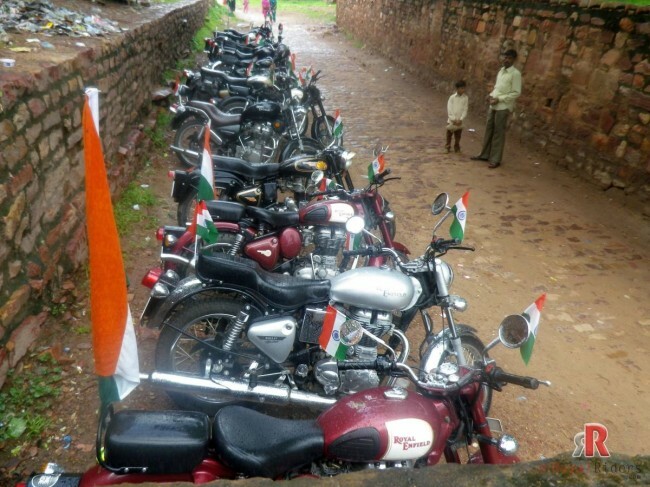 As tradition with Royal Riders group from its foundation, on every independence day anniversary of India, we organize various Rides on the auspicious occasion to celebrate the spirit of freedom in our own unique style. 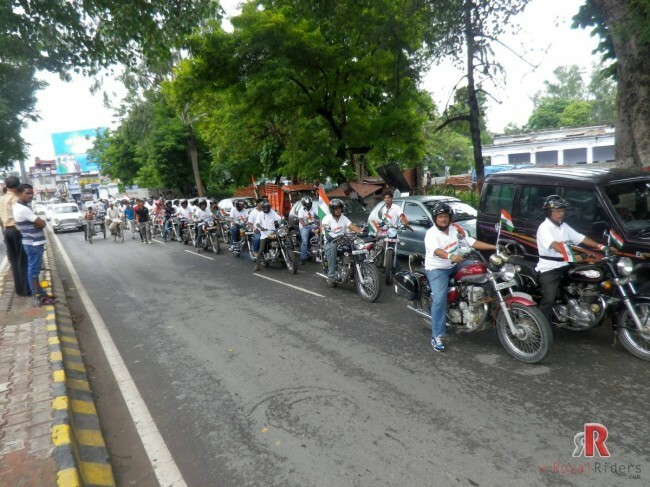 This year, we also organized the “The Freedom Ride“. 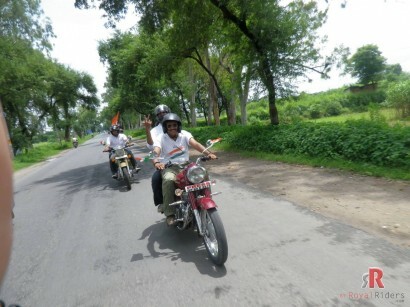 In this ride various new riders joined us and made it a memorable experience. 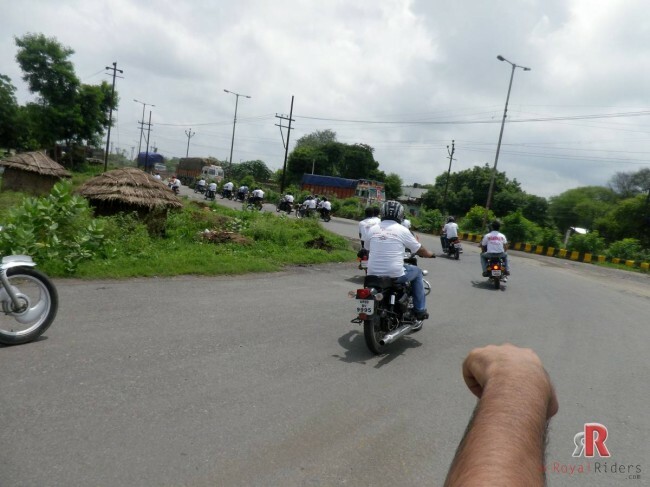 This year, as various new faces were coming on ride, we had decided to for a short ride for relatively smaller distance so that new Riders can get the feel of riding with a group, can understand concept and skill may need for such events. 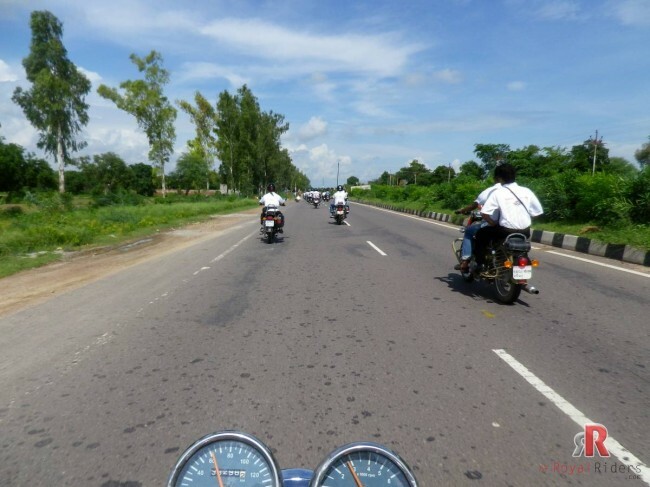 This Ride was organized in collaboration with Shambhavi Motors Agra, hence the assembly venue was their Showroom which is situated in Baluganj. 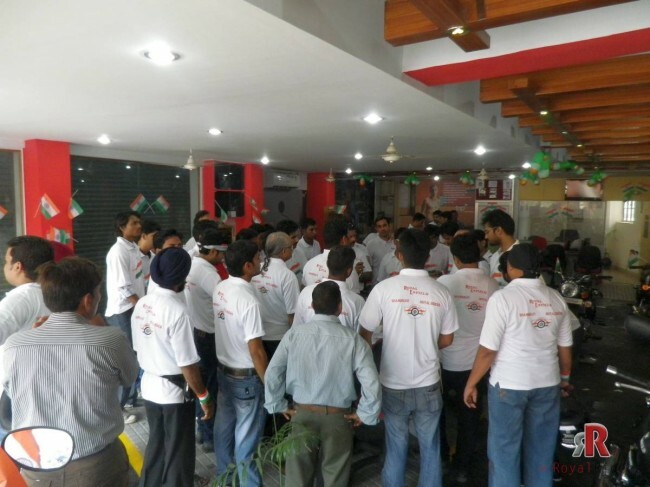 As decided , people started assembling at Shambhavi Motors, by 10:00 am, almost everyone was there, before leaving for the ride there was a last minute briefing. 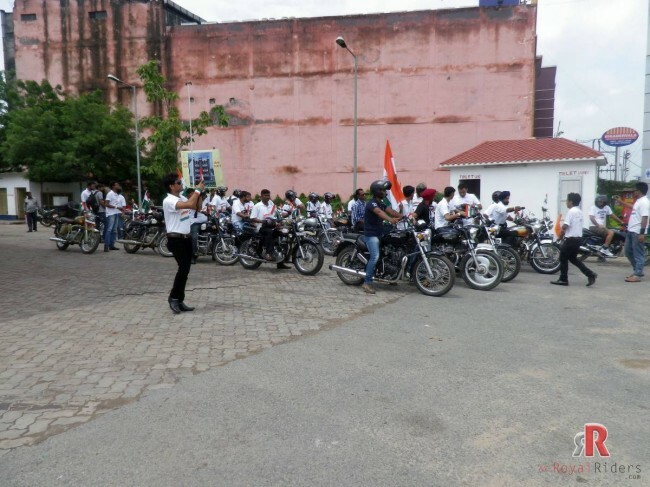 After briefing and also asking people to get fuel and their helmets and other gears ready (as few new Riders were under-prepared), the Royal Riders started their Ride. 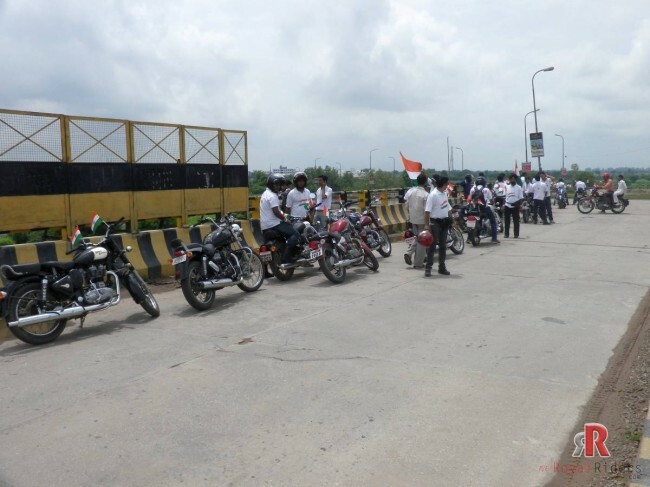 It was then Assembly at “Pratap-pura crossing Agra” from where the ride was given headstart. 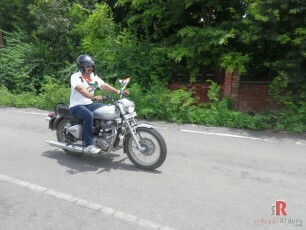 The ride was supposed to go through various location throughout the city and then finally on Highway to Fatehpur Sikri. Going through various parts of City of Agra, our next stop was Petrol Pump near Bhagwan Talkies Crossing as few more Riders were about to join us. 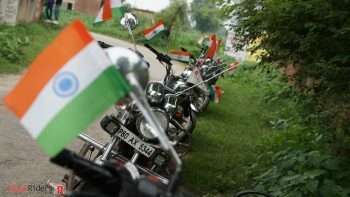 It was quite a site, everyone excited to take their beloved bullet on Highways on this Independence Day. 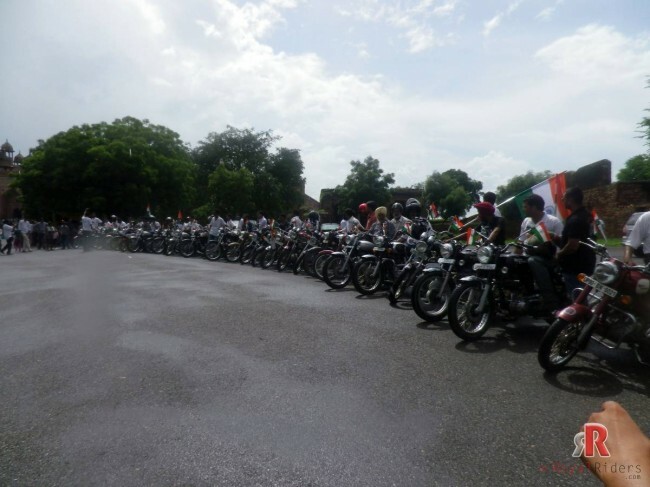 When few more riders joined the rally, we departed on Agra – Delhi highway and was planned to take Fatehpur Sikri Road from Shastripuram Flyover. however, there was an unfortunate news that two of the new Rider’s bike broke down and created problem. All riders stayed on Flyover while few stayed back with bikes broken down, once the issue was sorted out, the Riders were again on Road for their next pitstop. 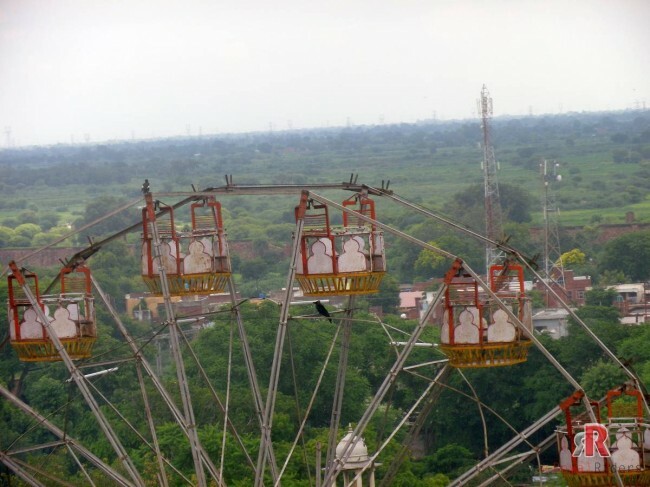 Riders are always ready to handle any kind of situation, breaking of machines is one such event and is actually part of rides , infact a good lesson for new / first time riders. Riders must also understand that it is always TEAM which works, so if one is facing problem, whole team has to help, no matter what it takes. It was good day for ride with occasional rain showers and beautiful sun (though sometimes it was little hot). Because it is Rainy season here, most of the patches were covered in green. It was decided to have a snacks break at Kiravali , was decided to stop at Bansal Sweets which is a traditional sweet store , a famous one in that area. It was busy market, there were dozens of bullet (the Royal Enfield in the market) parked in one line. It was as site of confusion yet surprise for the native people. Everyone had “Bedayi” at Bansal Sweets and then we departed for Fatehpur Sikri, however, this time it was raining heavily and everyone decides to Enjoy Riding in Rain. However, it was not for long, in 10 minutes or so, rain stopped or probably we crossed the area where it was raining. And finally we reached Fatehpur Sikri. 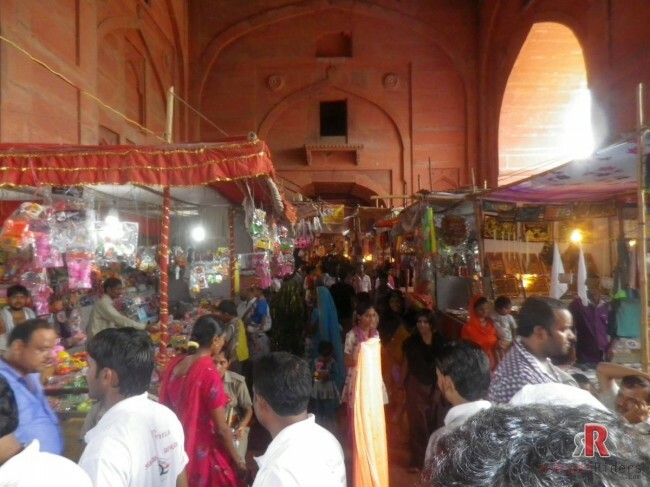 Fatehpur Sikri appeared to be crowded, it turns out that there was an annual fair which coincided with our August 15th Ride. There was not enough space to park all bike together, so bikes were parked in three lots, above you are one such lot. 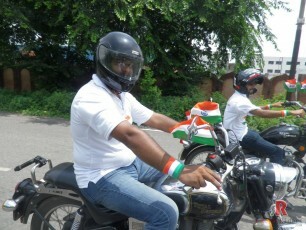 It looked beautiful with tri-color flag in bike giving feeling of the Indian Independence Celebration. We first headed towards the Shaikh Salim Chishti Dargah in Fatehpur Sikri. Lets have little background about Fatehpur Sikri, which is now one of the most visited tourist spot in Agra Region after TajMahal. Sikri has been mentioned in the Mahabharata as ‘Saik’. Lexicons define ‘Saik’ as a region surrounded by water. An inscription found on the stone sculpture of Jaina Saraswati (dated 1067 Vikram Samvat = 1010 A.D.) mentions this place as ‘Sekrikya’, which seems to be a similar derivative. All this shows that Sikri was continuously inhabited since the prehistoric period. Babur visited the place on the eve of the Khanwah battle in A.D. 1527 and mentioned it as ‘Sikri’ in his Memoirs. He founded here a garden and a Jal-Mahal surrounded by the lake-water, and a baoli (step-well) to commemorate his victory in the Khanwah battle. Here practically, all Mughal institutions such as the ‘Ibadat-Khanah’, ‘Din-i-Ilahi’, ‘Tarikh-i-Ilahi’ , Jharokha-Darshan, the doctrine of Sulh-i-Kul and policy of liberal patronage to indigenous arts and literatures, were founded. It was also here that workshops of various handicrafts were established. Sikri was the first planned city of the Mughals. 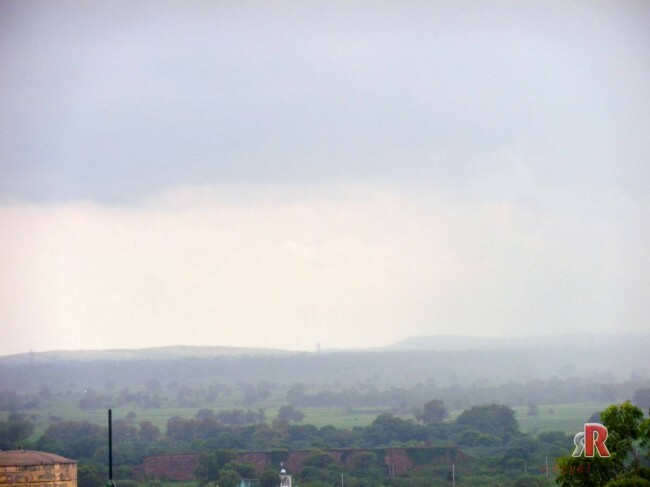 The sloping levels of the city were connected into terraces which were utilised for various complexes such as Jami masjid, Buland-Darwazah and tomb of Sheikh Salim Chishti; Khass Mahal, Shahi-Bazar, Mina-Bazar, the Panch-Mahal, Khwabgah, Diwan-i-Khass, Anup-Talao, Chaupar and Diwan-i-Am. The efficient system of drainage and water-supply adopted here suggest an extremely intelligent town-planning by the Mughal emperor. 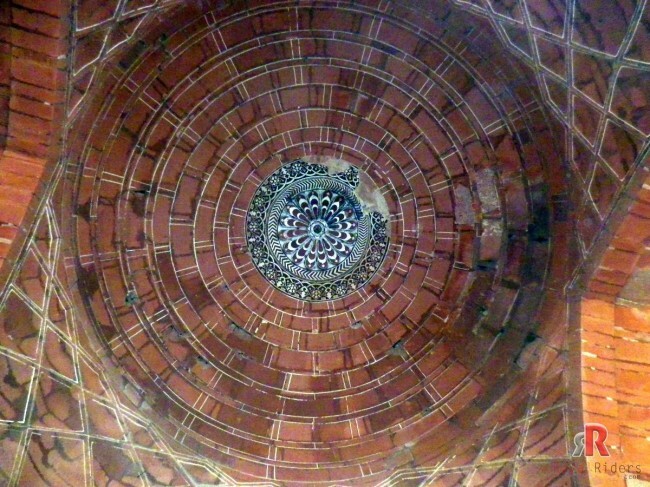 The architecture of Fatehpur Sikri has a definite all-India character. It is prolific and versatile Indo-Muslim composite style, which is a fussion of the composite cultures of indigenous and foreign origins. Can you notice all litter there, I would like to mention that as part of “Royal Riders” we understand our duty towards nation and public places, all those litter and garbage is left there by other tourist. We are also a lot concerned clean and beautiful India. I hope people of India understand their responsibility towards nation and be good citizen. Infact it was clearly evident that there is no proper arrangement to clean this place, there were piles of garbage, litter inside and around monument. 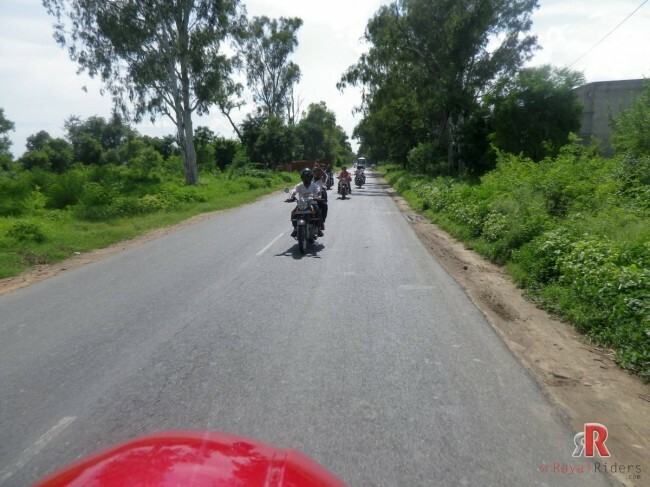 Next the Riders one by one visited actual Salim Chisti Dargah and paid their homage to this renowned saint from past. A group picture outside Salim Chishti Dargah however, many Riders are still inside the Dargah. 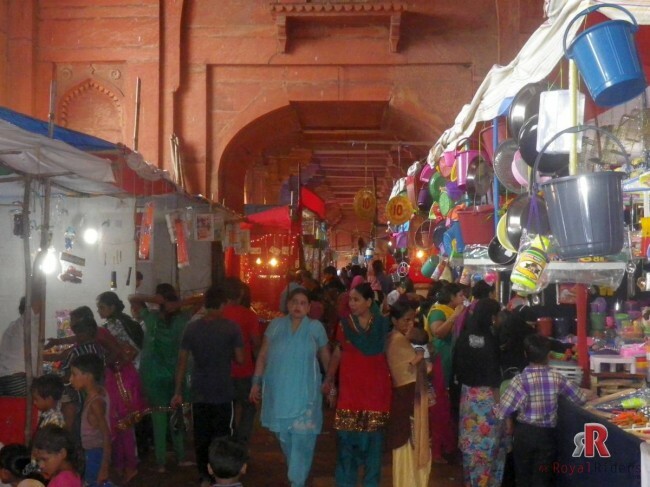 Next we moved to see actual Buland Darwaza but it was all crowded due to Annual Fair at Sikri. There were temporary market and lots of crowd. Some of the pictures taken of city from Buland Darwaza. Next we headed towards the famous Baoli or step wells , in past there were some guys who used to show their diving skills in these wells however it is no more allowed as there were some fatal incidents in past. These wells are actually meant for rain water storage from whole building. 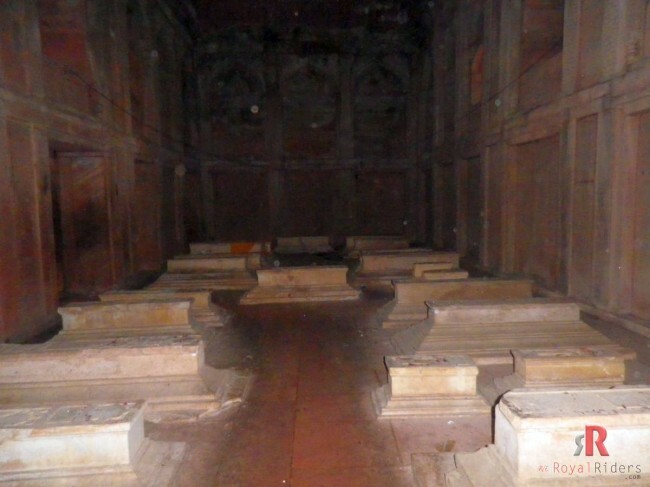 Sadly they are not well maintained and not cleaned at all. 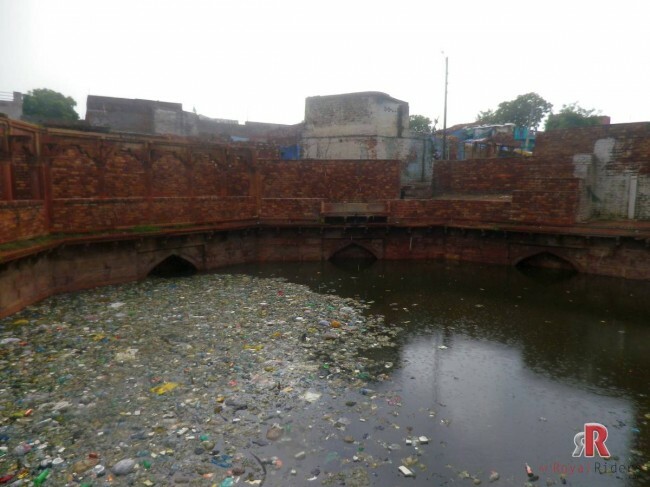 We have included picture below, you can see the garbage floating on water, it is possible that this place is not cleaned from months. I hope authority can see these pictures and make proper arrangements. Tourist take such snaps at home and shows how badly the Indians are preserving their heritage. After paying visit to Dargah and Buland Darwaza, Riders headed to towards their bikes and prepared for last group pictures at the monument. 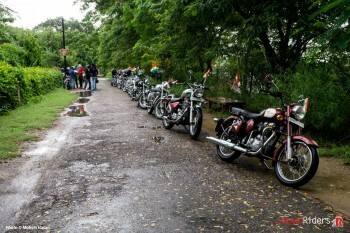 All Royal Enfield enthusiast together, a beautiful yet rare site. After little photo-session, we departed for lunch which planned in a restaurant in way back to home. Finally we reached the restaurant for lunch, it was just big enough to accommodate Riders comfortably. When “Royal Riders” were taking food inside it, there was no place left of any one else. 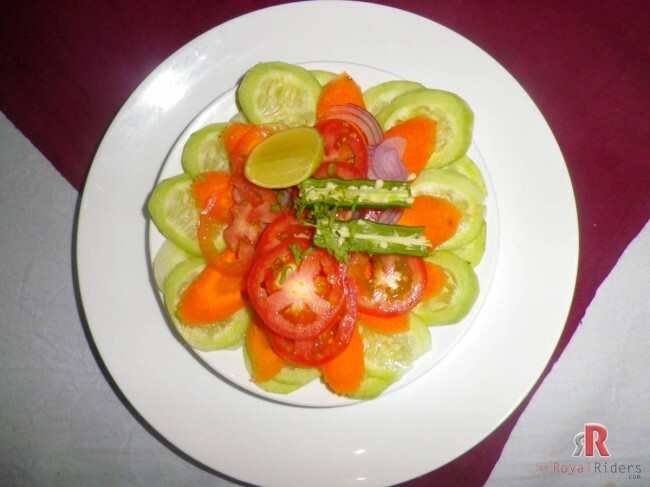 It was a nice and memorable lunch with taste of traditional Indian food. 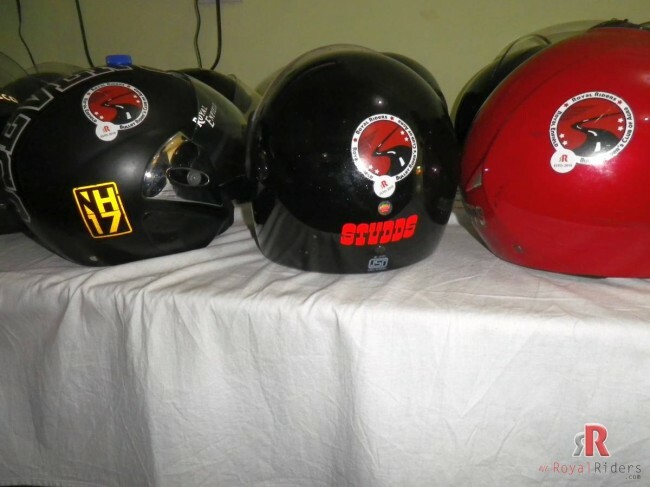 And those beautiful helmet of awesome Riders, notice that official LOGO of Royal Riders on each helmet ? 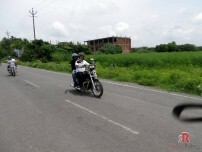 Finally, we concluded our ride with a on Vayu Vihar crossing. From here people said goodbye to each other and headed to their homes and their regular life. 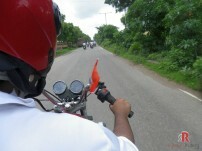 We gratefully thanks to all new riders who joined the Ride and made it memorable experience. Ride had its ups and down as there were many new faces and noticeably there were some co-ordination issue on the start of ride however, on return RIDE, it was all smooth, apparently the new riders had started to understand the spirit of Riding in a Group. 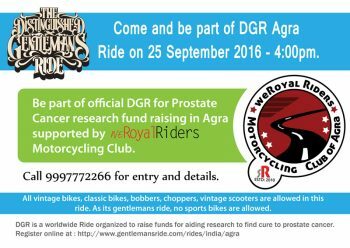 Special thanks goes to Shambhavi Motors, Baluganj for their support and sponsorship for this ride. Please take time and post your views , comments for this ride. 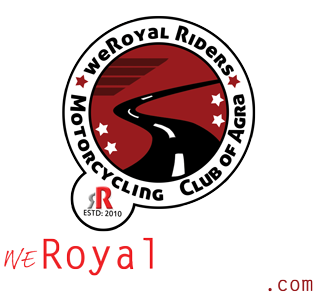 If you have any suggestion , advice, question you may use Our Rider’s Community Forums which is open for all to join and we will definitely come attend your query.